If there’s one subject that’s tough to get right concerning Turkey these days, it’s Ergenekon. Yet Sophie Roell went straight for it when she interviewed me about my five favorite books on Turkish politics for The Browser (read all about them here). Ergenekon is the catch-all name for alleged deep state bureaucratic-military plots against the government, including the complex of court cases marshaled up in the past two years to punish the supposed conspirators. For me, though, it is more like a blood feud between Turkey’s old and new rulers. On one side are the secularists of the Turkish Armed Forces and their companions in old elite who founded the Republic of Turkey, and on the other the popular conservative/religious Justice and Development Party, often newly urbanized folk who have been in power since 2002. Another way of looking at Ergenekon is class war. Broaching the Ergenekon issue at a Turkish social gathering is like trying to have a rational discussion about fox hunting at a London dinner party – soon everyone is shouting angrily at each other and nobody knows quite why. One difference with London fox hunting debates, in which the participants have usually been nowhere near a 6 a.m. meet on a frosty English morning, is that Ergenekon discussants often feel they have either been in the position of the fox or the hounds. This is actually no joke to experience, as I learned when my university friend John Sunnucks asked me innocently many years ago if I’d like to be the fox for his pack of beagles. I thought it meant a bracing cross-country run through pleasant English fields. In fact I had to drag a sack of smelly urea up brambly hill and down muddy dale, soon realizing that the head start I’d been given was nominal and that baying pack was catching up. I was truly scared when the dogs came in sight behind me. This experience is not enough, of course, to make me understand how the partisans of the current prime minister Recep Tayyip Erdoğan felt in 1997 and 2007 when the armed forces and whole system ganged up on them, throwing or trying to throw them out of jobs, out of politics and sometimes into jail. The current Ergenekon investigations are also putting officers, well-known journalists and people well past retirement age behind bars. In both cases, the judiciary has shown its unfortunate tendency to side with the powers that be, to confuse smoke for fire and to count intent as action. The consequences have often been personally devastating. Most of Sophie Roell’s questions related to the particular case of retired general Çetin Doğan, accused of being ringleader of a plot known as “Sledgehammer”, a subset of the supposed Ergenekon conspiracies. Her attention had been caught by the high-profile campaign of Çetin Doğan’s son-in-law, Harvard professor Dani Rodrik, which exposes apparently flimsy evidence and inconsistencies in the case . I remember Gen. Doğan as Turkey’s gentlemanly number three military chief. It was February 1997 and I was his guest at General Staff headquarters, a place where immaculately groomed, heel-clicking conscripts swept in and out with trays of fine Turkish tea, dried fruits and nuts. I was part of a group of mostly American correspondents who spent a week being briefed by several officers at the pinnacle of the service, a moment of openness that was astonishing at the time. “Traditionally, we have been a bit reserved, like a Turkish man,” Gen. Doğan told us. In retrospect, the briefings about supposed Iranian and Islamist threats – some by officers now on the suspect list in the Ergenekon case — were likely preparing us for what was happening. Some weeks before, the army had run a column of tanks through a township near Ankara, an implicit threat that had put everyone on edge. A few days later, on 28 February 1997, the military read out a list of demands in a marathon National Security Council meeting. Within a few months, the government of the pro-Islamic Necmettin Erbakan had collapsed. Public accountability for this and other actions of the army of which Gen. Doğan was a part is only in its infancy. In the 1980s, especially the coup years of 1980-83, torture was routine in army-run jails. In the 1990s, hundreds of Kurdish nationalists were killed by shadowy death squads that probably operated under armed services cover. Which all makes Ergenekon hard to judge, especially if one has no direct experience of being a fox or the hounds. 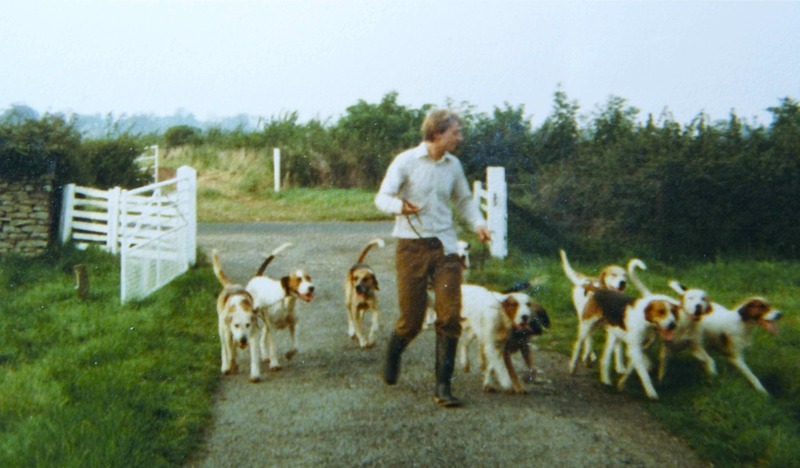 When I turned to face John Sunnucks’ hunting pack, as they caught up with me half way across that lumpy English field, all they did was mill around me in a happy, panting tumult. They then made me feel ridiculous by licking my legs. We all wish that AKP would fulfill its initial promise of putting democracy before development, particularly in the context of this post. Thanks for pointing my psychological slip out! It is now corrected.